Many people use garlic to flavor food but not all of them know that the bulb, which belongs to the onion family, has immense health benefits. Garlic has been used for centuries by the Egyptians, Babylonians, Greeks, Romans and the Chinese as medicine. The medicinal value of garlic is mainly as a result of the sulfur compound known as allicin, which is formed when a garlic clove is chopped, crushed or chewed. 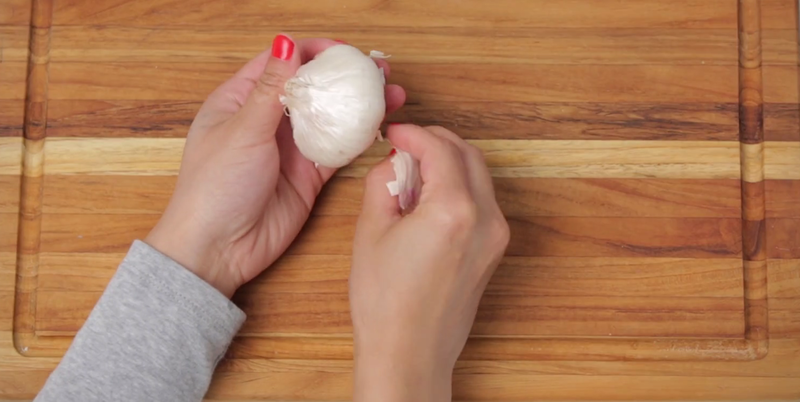 Allicin is also responsible for garlic’s distinct smell. According to Peter McClusky, founder of the Toronto Garlic Festival, garlic has lipid-lowering, anti-blood coagulation, anti-hypertension, anti-cancer, antioxidant and anti-microbial effects. Research shows that garlic combats the common cold and boosts the immune system. It also significantly reduces blood pressure. Regularly adding garlic to your food prevents various types of cancer, including colon and stomach cancer. Research also indicates that garlic’s anti-bacterial properties might help to prevent food poisoning by killing bacteria. Because of garlic’s anti-inflammatory and anti-fungal properties, it can also be used to treat athlete’s foot. You can either soak your feet in garlic water or rub raw garlic on your feet. Research in India also indicates that garlic can be used as a mosquito repellant. You can either apply it directly on the skin or keep some near your bed. Apart from serving as a great antioxidant, garlic also reduces cholesterol and blood pressure and prevents Alzheimer’s disease and dementia. Because of its ‘performance enhancing’ substances, garlic was used to reduce fatigue and enhance the work capacity of labourers in ancient times. Some people use it today to reduce exercise-induced fatigue. Note that most of the health benefits apply only when fresh as opposed to processed or over-stored garlic is used.